When most people think of background checks, they think of a check of criminal history but that is not always the information that is being sought. Free background checks online typically omit a majority of information and are limited to specific databases. Complete advanced background checks can actually encompass so much more information. An advanced background checks is an investigation into the professional and personal history of a person that will reflect the person’s character and prove their identity. 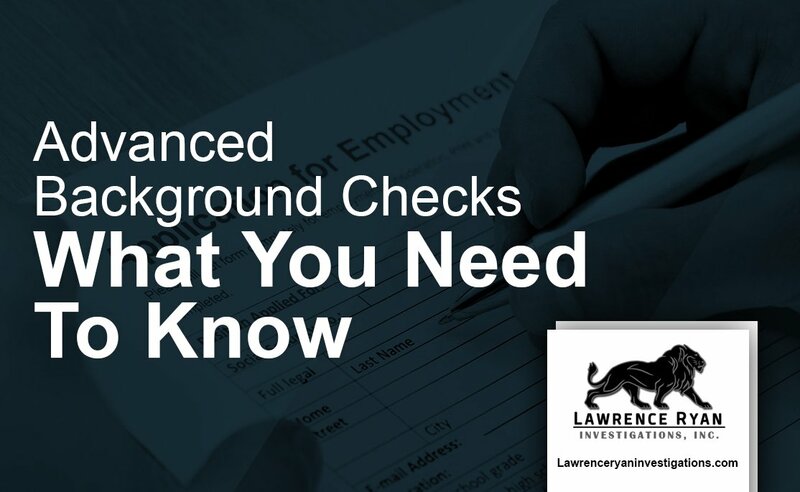 Typically, a background check will reveal a person’s criminal history, educational background, employment history, civil records, references, and possibly more information depending on the reason for the background check. When to obtain a background report? These are just a few of the scenarios in which a comprehensive background check may be necessary to obtain information about a person. What are the best methods to complete a check? There are several methods of conducting a background check and one of them it to complete it online. These are considered automated background checks but many times the information is outdated, incomplete, or incorrect. Each record needs to be validated to ensure that it is for the correct person and that the information is current and correct. Not all the records you can obtain online are complete and may leave out pertinent information. It may not inform you of past employers and references. The validity of the record still needs to be verified so the use of a private investigator may be very helpful. An investigator can provide the best records with the most detailed and correct information so that you can make a decision based on true facts. For example, if you have a prospective tenant named Robert E. Smith and you attempt an online background check, you may get the information of the man’s son, Robert D. Smith, who has an extensive criminal history. You would end up not renting to Robert E. Smith because of his criminal history when in fact, he did not have any criminal history at all. If you employ the assistance of a private investigator, you can be assured that the information you receive has been checked for accuracy and is dependable. 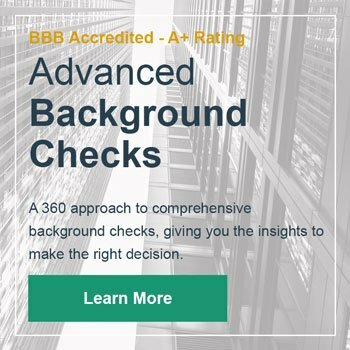 A background check investigator can provide you with more detailed information and even more insight into the true character of the person that they can gain through interviews and by delving further into their history. What information is needed to complete a background check? When you contact a private investigator, you will need to know some key information about the person you are investigating such as their full name including their middle initial, their date of birth and the city and state in which they were born, social security number, schools they have attended, previous employers, and the names of the locations in which they have resided. A good private investigator will be able to find out a lot about a person with or without detailed information but it is helpful and will speed up the process if you can obtain as much information as possible beforehand. While a criminal background check focuses strictly on a person’s criminal history, if any, an advanced background checks encompasses a person’s personal history including credit record, educational history, employment history, and even driving records. Overall, if you are in need of a thorough background check on someone, enlisting the services of a private investigator will provide you with more accurate and complete information in which to base your decisions upon. While a quick online background check may be tempting, to guarantee you receive the most current, accurate, and reliable information, you should hire a private investigator to assist in the process. Get the best background reports with LRI’s advanced background checks. Contact an LRI investigator to confirm the information you are looking for, and for pricing.